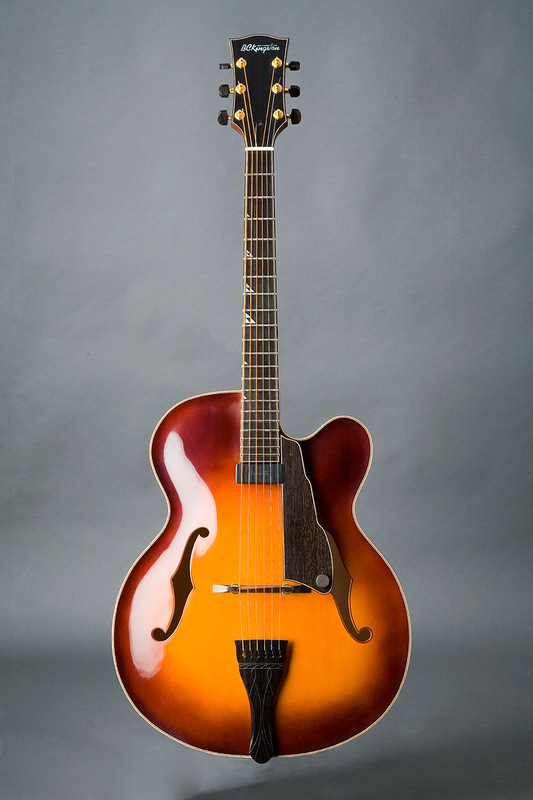 Note: The stairstep ebony pickguard pictured is replaced by the sleeker ebony guard with stealth volume and tone controls. I've included a couple of quick pics that I took of an 08 CR-P and an 08 CR-E with their new guards at the bottom of the photo column. 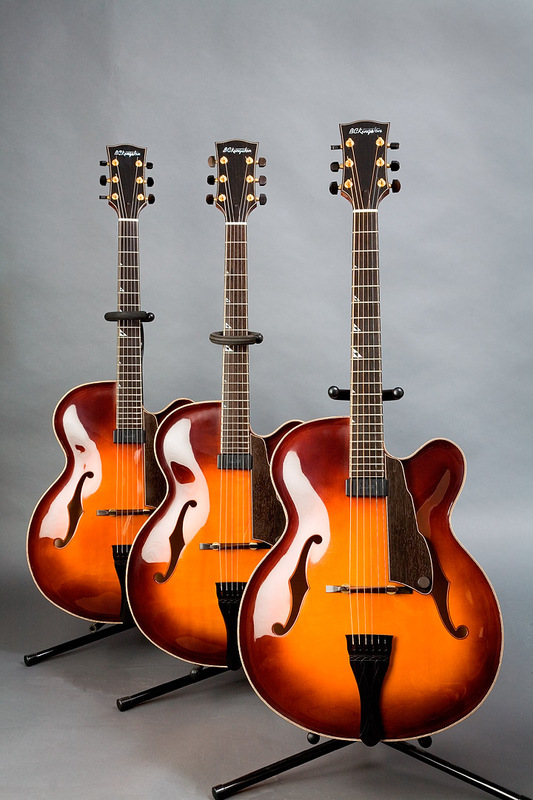 The CR–P was inspired by those beautiful faded amber bursts on the old Gibson archtops. The 5 piece body binding / purflings are curly maple and ebony. They are left natural and the sunburst colours disappear into the inside perimeter ebony purflings so that at first glance you perceive it to be regular plastic binding, then the warmth of the curly maple does its thing. Also left natural are the curly maple laminates below the headcap and fret board, and at the front of the headcap and fret board. 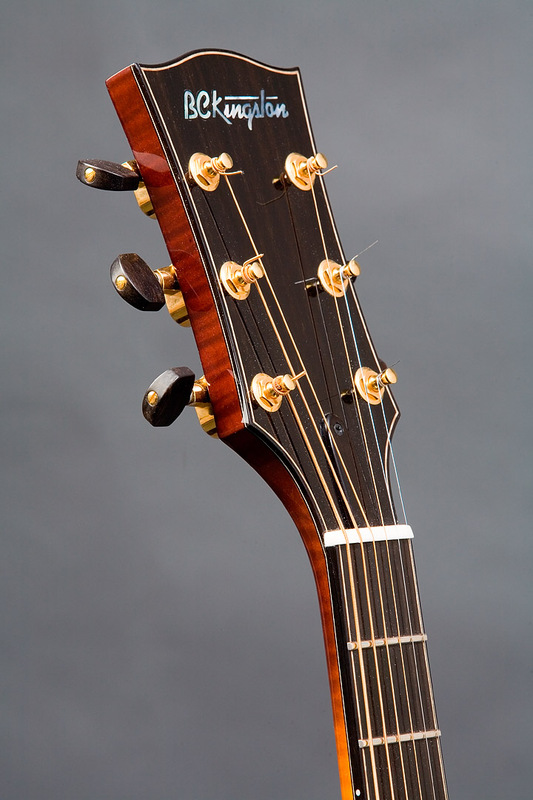 The f-holes are bound in maple and ebony and are elegantly subdued under the tops' colours. The sections of the three piece neck are separated by a sandwich of .040 curly maple between .020 Swiss pear laminates dyed black. 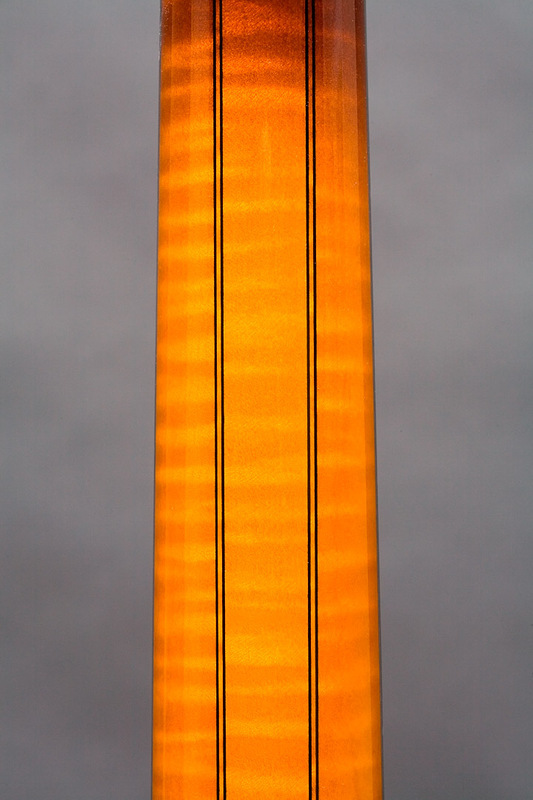 This same black laminate is also below the curly maple wrap that extends under the fret board and headcap. 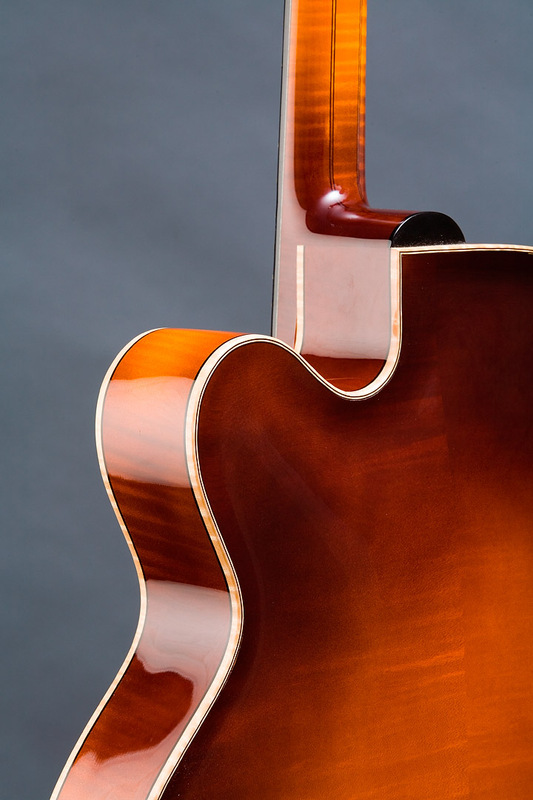 Select Sitka spruce for the top and select European curly maple back and sides. 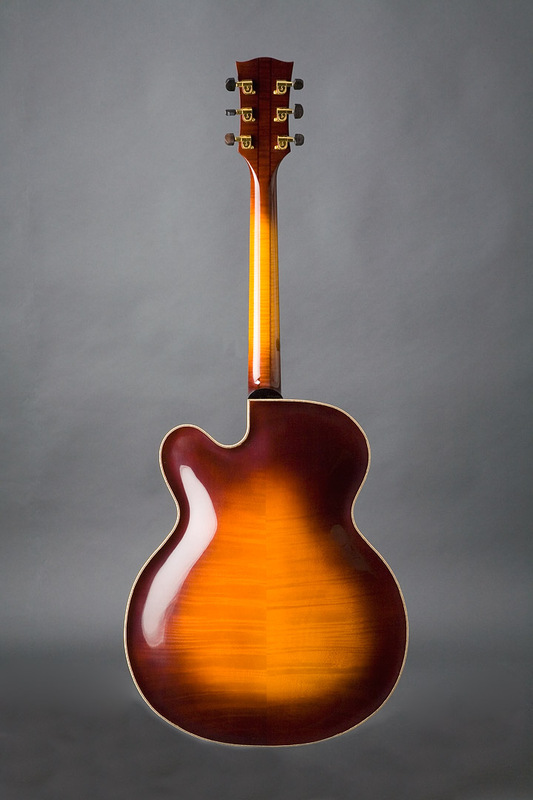 The standard finish is the amber burst pictured, but if ordering, it is your choice of all of my finishes, which also include blue burst, yellow-tobacco burst, honey blond, natural or amber toner. 17” body, 25.0” fret scale, 3” deep, Nut 1 11/16"
“BC Kingston” in MOP on the solid ebony headcap, and triangle sequence fret markers in MOP and 2 mm MOP position dots. Gotoh 510's (Cosmo black, standard).